Mrs. Teresa Johnson provides government sales and customer support for Dakota Air Parts Intl. Ms. Johnson’s previous professional experience at Dakota Air Parts Intl includes shipping and receiving as well as assisting the sales team with quoting. Prior to joining the aviation industry, she worked in Medicare administration and claims processing for over 10 years. 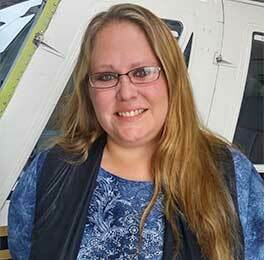 Outside of Dakota Air Parts Intl, Teresa enjoys spending time with her family, and playing with her dogs.